The first in a bewitching new series, mixing friendship, secrets and spells - perfect for fans of Jacqueline Wilson, Soman Chainani's The School for Good and Evil, Ever After High, Disney's Descendants and Zoella's Girl Online. It's time to work some magic . . . When Nessa moves to the small and quiet town of Fairhollow to live with her aunt, she has never felt so lonely. She misses her dad and best friend - and the Mean Girls have singled her out. Then Nessa meets Holly - cool, friendly, book-loving. A real friend! But Holly knows a secret. One that Nessa could never have conjured up in her wildest dreams . . . 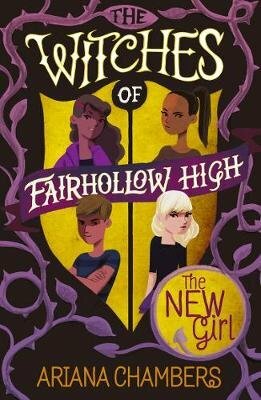 The Witches of Fairhollow High is perfect escapism for children aged 9 and up. Ariana Chambers has always believed in magic. But most of all she believes in the magic of friendships. And The New Girl, the first in an exciting and addictive new series, is certainly full of that . . . Ariana lives in London.